Now through the Weekend, 4Walls, will be Beautifying IB People's Park and Holding Classes to turn trash into Eco Friendly Art and Decorations. Now through the Weekend, 4Walls, will be Beautifying IB People's Park and Holding Classes to turn trash into Eco Friendly Art and Decorations. 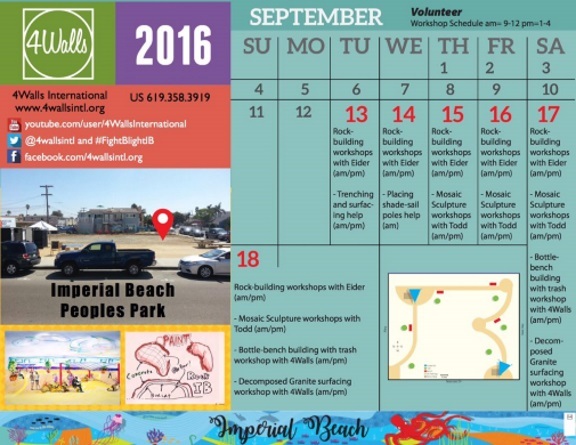 4Walls International has been Making a Big Difference in Imperial Beach and surrounding Community's.